Edgar Rice Burroughs’ classic John Carter of Mars is now available in two high-quality limited collectible editions from ERB Books! ERB’s 11th and final volume in the Barsoom series is for the first time published by ERB Inc. and G&D in a Signed and Numbered Set (# 1–348) – with different dust jackets, bindings (red & blue), and front/end matter, plus individual custom slipcases, a new Foreword by Kevin J. Anderson, and an updated Introduction by Richard Lupoff. The G&D edition of John Carter of Mars is the 50th authorized ERB title reprinted by G&D since they published their first title, A Princess of Mars, 100 years ago. The Fourth Title in the EDGAR RICE BURROUGHS Limited Edition Collection: JOHN CARTER OF MARS by Edgar Rice Burroughs Signed/Numbered Set (#1-348) – Two books in dust jackets and custom slipcase with bonus medallion – $199.99 + $6 shipping. 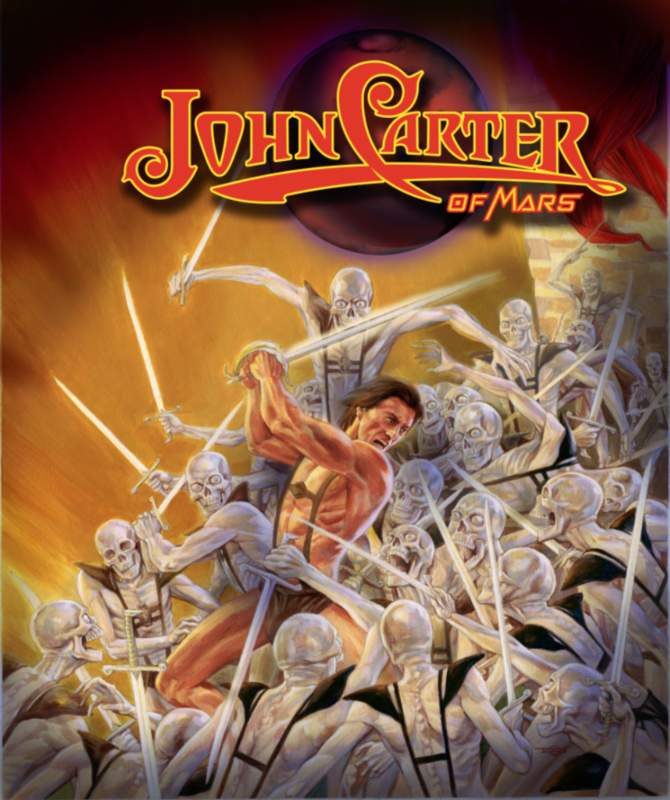 Click here to order the John Carter of Mars signed and numbered set. 80# archival paper, fold-out color plates, two-sided laminated dust jacket, and original commissioned artwork make these volumes unique treasures. Check out all titles available from ERB Books HERE. See other ERB Books at ERBBooks.com!